The team of hairstylists and hairdressers at Aidan Garlington Hair Design are this week taking a closer look at one of the most popular hairstyles for this time of year at our Baldwin Street hair salon in central Bristol – a soft balayage. We begin all of our haircuts and hairstyling services with a full and free hair consultation. In essence, a soft balayage is a softer and gentler transition from the roots to ends than a full head hair colouring service, and is one of the seasonal favourites with many of our long-standing hairdressing clients in central Bristol. Although a soft balayage is still a full head hair colouring service, it’s classified as a tonal change rather than a depth-based hair colour. It’s not a heavily-bleached service, and delivers a lighter, sun-kissed look with lightened colour applied to the ends and then towel-dried. We use L’Oreal Colour products at our central Bristol hair studio, and for a soft balayage, we apply semi-permanent colour on the roots, a pre-lightener on the ends, plus a colour toner to finish. The hair is then cut, styled and blow-dried to give a gorgeous soft balayage, as seen in the above example taken in-salon last week. This stunning seasonal Spring hairstyle takes between two and a half to three hairs in the chair, with prices ranging from £99 to £123, depending on the stylist delivering this hair colouring service to the client. Ask for further details. 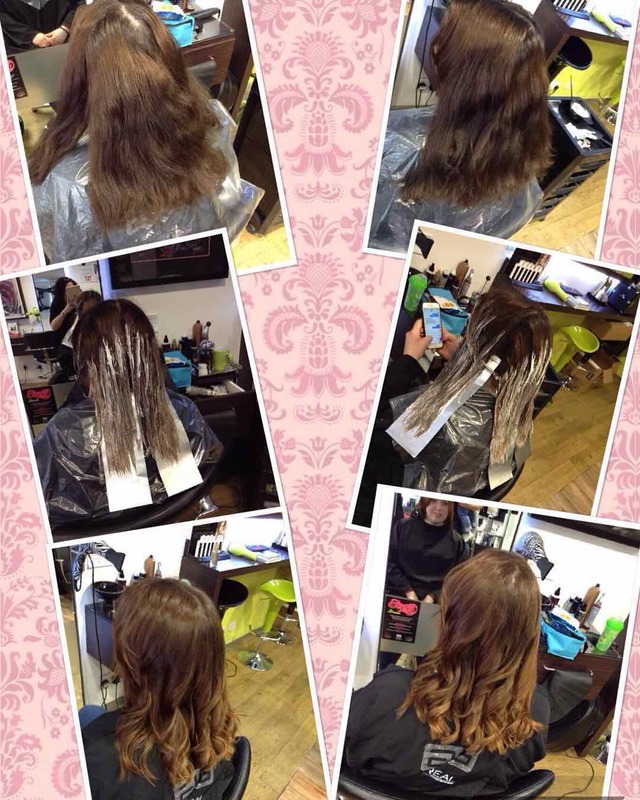 To see the full range of soft balayage, haircare, hair treatments, hairdressing, hair styling, hair colouring, and hair extensions we offer, please get in touch here. 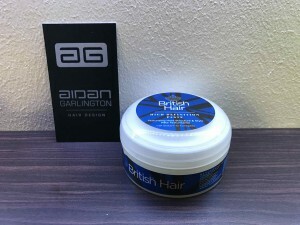 The central Bristol hairdressing services offered at Aidan Garlington Hair Design are usually focused on hair colouring, hair extensions, hair care for women, plus hair products and hair treatments for women – but we also offer gents hairdressing, too. 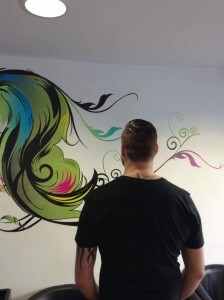 The example of gents hairdressing above from our central Bristol hair salon highlights the expert men’s hairdressing services we offer for male clients. The men’s haircut started with a shampoo and condition, towel-dried, then it was clipper cut at the back and sides, blended into the top and textured. It delivers a classic, broken up look as favoured by Hollywood star Tom Hardy, and remains one of the most popular gents haircuts in Bristol we give. We also recommend British Hair products, and this particular men’s haircut benefited from British Hair Fibre being applied. This gave the hair texture and hold, and was applied at the end. British Hair Paste is also a popular option with male clients visiting our Baldwin Street hair salon in central Bristol, as it gives a natural look and hold. The men’s haircut above was completed at our central Bristol hair salon in 30 minutes with prices starting from £19.50 and going up to £24, depending on the stylist delivering the service. 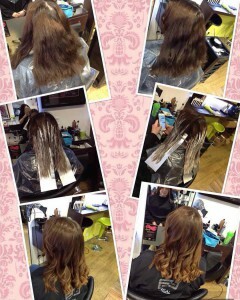 Ask in-salon for further details when booking. 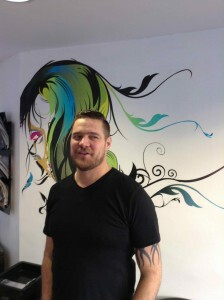 We also offer all of our male clients a full and free hair consultation in-salon. 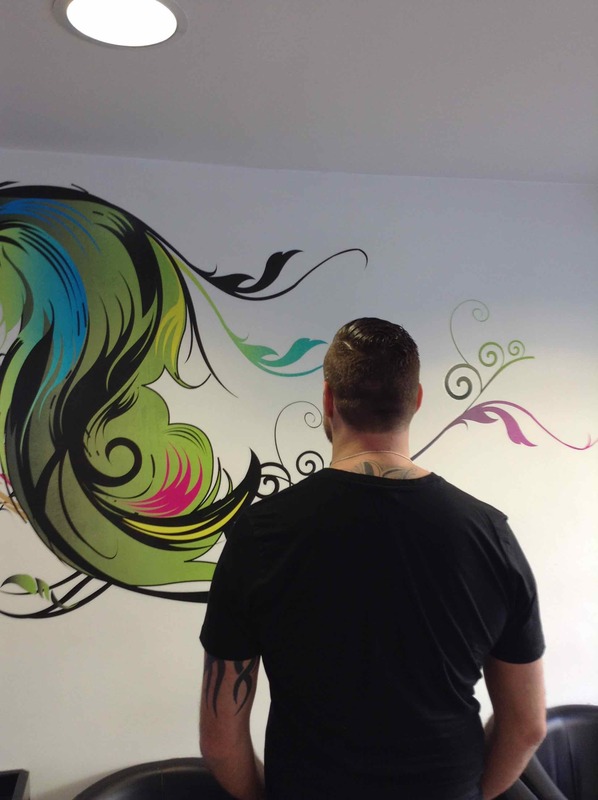 To see the full range of gents hairdressing, men’s hairdressing, haircare, hair treatments, hairdressing, hair styling, hair colouring, and hair extensions we offer, please get in touch here.